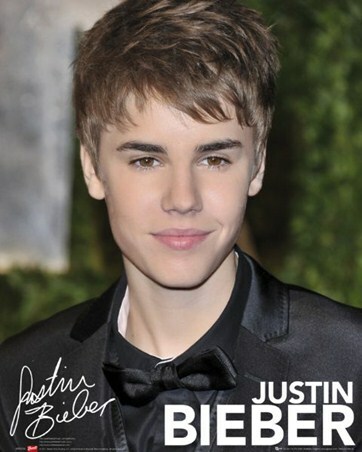 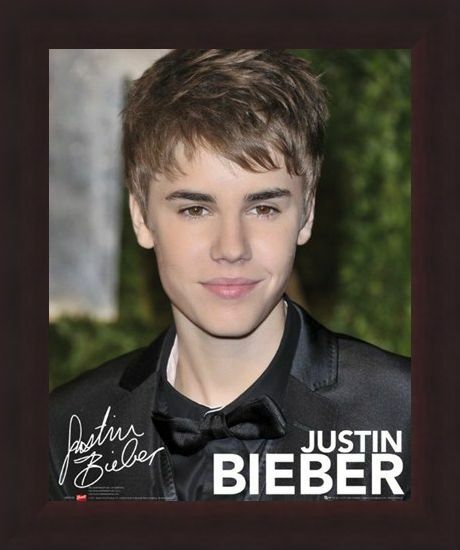 Music Mini Poster: Everyone's favourite teenage heartthrob, Justin Bieber, is all grown up in this gorgeous mini poster which features him looking dapper in his black suit and tie. 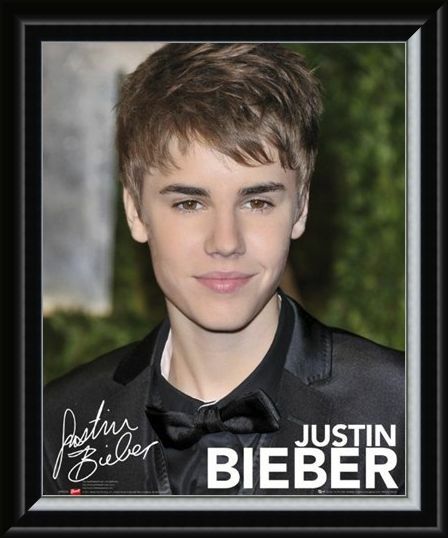 The Canadian singing sensation burst out of our radios in 2009 with his debut single 'One Time' and he hasn't stopped since. Having collaborated with Chris Brown, Usher and Ludacris to name but a few, Bieber has certainly earned his place in the hearts of his fans across the world. 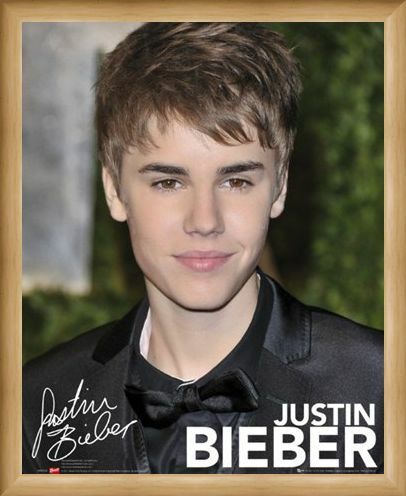 This must have poster captures the Canadian cutie at his best and ready to wow his admirers with another sell out show. 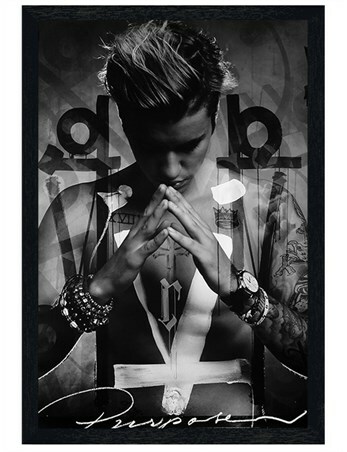 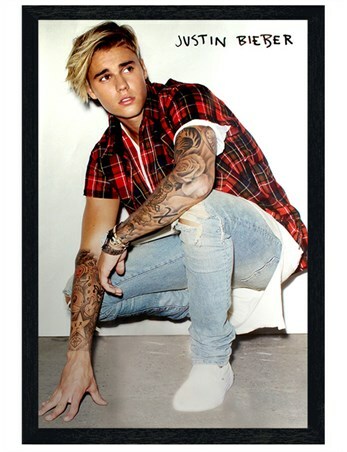 With his name in white across the bottom as well as a pre-printed autograph, this mini poster is guaranteed to be music to the ears of any Justin Bieber fan. 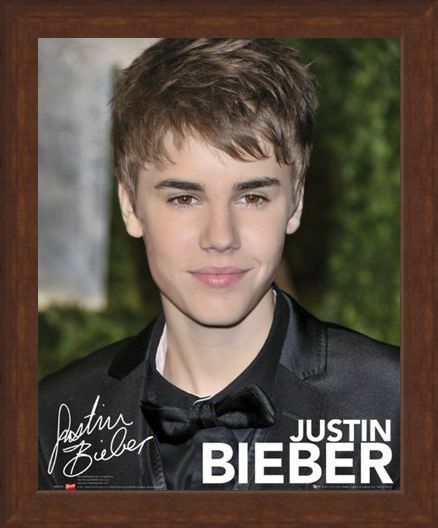 High quality, framed Canadian Superstar, Justin Bieber mini poster with a bespoke frame by our custom framing service.